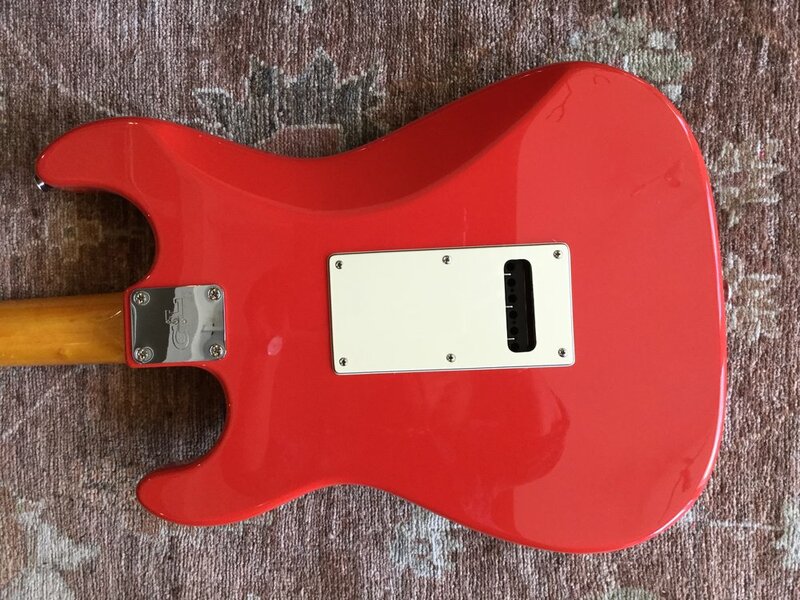 Hardly played G & L USA Legacy guitar in candy apple red. Babied all its life. Awesome guitar, top of the line. Leo Fender and George Fullerton design. With original case. Yum! $850.